An effective supply chain not only maximizes the profit of anorganization, but ensures customer satisfaction and creates a win-win situation for stakeholders. A customer and event-driven optimized supply chain reduces the cost of capital for suppliers andalso plays a vital role in the cost-reduction aspect of profitability.Thisimpacts margins and profitability,ultimately resulting in benefits to customers as a result of lowered cost of goods sold to the buyer. 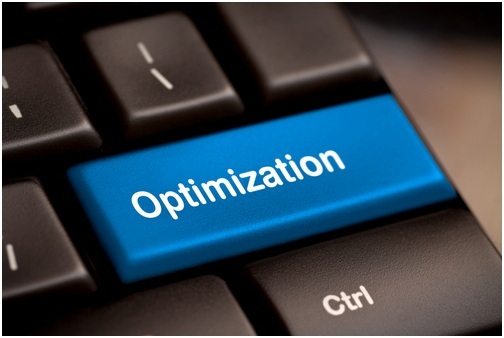 Customer-oriented optimization involves processes aiming at obtaining significant and quantifiable benefits in terms of reduced inventory and lowers logistics cost while typically maintaining or improving customer service through better forecasting and improved availability. This includes measures like maximizing gross margin, return on inventory, balancing the cost of inventory at all the stages in the supply chain with availability to customers, and minimizing total operating expenses, i.e., of transportation, inventory, and manufacturing. It also factors in unforeseen events, such as fire or earthquake, affecting the manufacturing processes and jeopardizing the supply chain planning. Growing competition and dwindling marginshave renewed focus on supply chain optimization to increase profitability. Increased customer satisfaction means greater profitability because loyal and satisfied customers ensure constant flow of revenue in the long term and reduces costs. Maintaining satisfied customers is less costly than to acquire new ones. How customer and event-driven optimization can be achieved. Customer-oriented supply chain can be realized by establishing free and open two-way communication with customers,finding out what the customer is looking for: low cost,service, orflexibility?The supply chain can be optimized only by understanding the needs and strategic objectives of the customer. The objective is to facilitate smooth flow of information from customers to suppliers, and smooth flow of products and services down the supply chain from suppliers to customers. Moreaware the suppliers are of their customers’ needs and actual requirements, the fewer the inventories needed in the supply chain. In a ‘synchronized supply chain’, the actual demand captured at point-of-sale can be communicated up the chain, using information technology, thus greatly reducing the amount of inventory that each entity needs to maintain. A collaborative supply chain ensures realization of key performance factors, such as reliability, responsiveness, flexibility, lower costs, and better resource management, more effectively in a much shorter timespan. Implementation of the CPFR method with key suppliers will enable a business to cater to the JIT (Just-In-Time) order without any element of surprise. According to various studies, web-based inventory solutions improve visibility of inventory across the supply chain and reduce inventory by approximately 20%. Improved visibility on material scheduling helps in reducing inventory build-up to the tune of 6-8%. Overall, the procurement process can be hassle-free and galvanized. Purchases can be tracked down quickly, and approvals can be routed systematically. Moreover, all the information is available over a secure web, which can be accessed securely from anywhere. An optimized supply chain will result in more cost cuts and more profit to the company and prove to be a win-win prescription for all stakeholders.